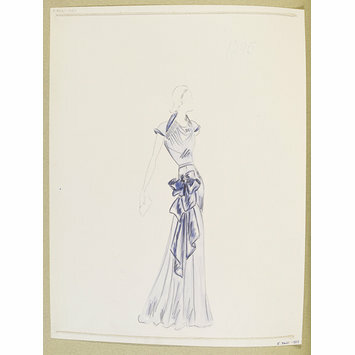 Palest lavender blue evening dress with darker blue satin sash and accents. 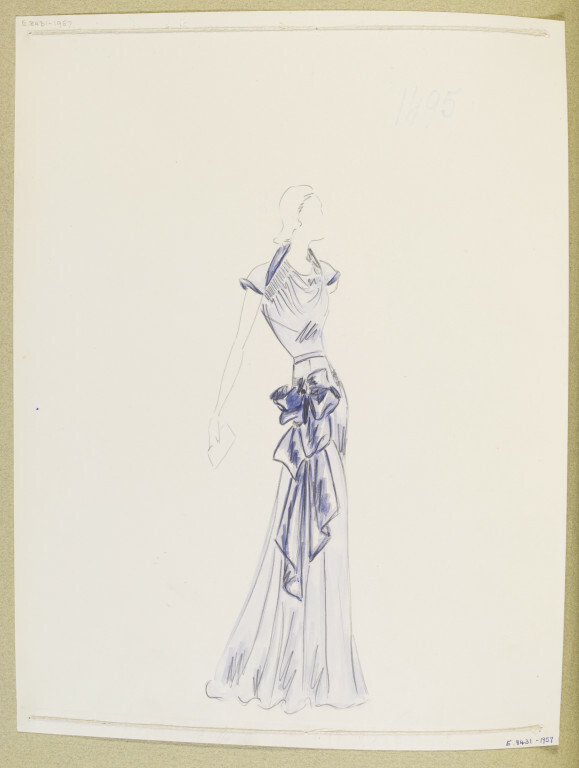 One of 267 dress designs for Summer 1938 bound in volume. Paquin (Ana de Pombo). Palest lavender blue evening dress with darker blue satin sash and accents. One of 267 designs for Summer 1938 bound in volume.